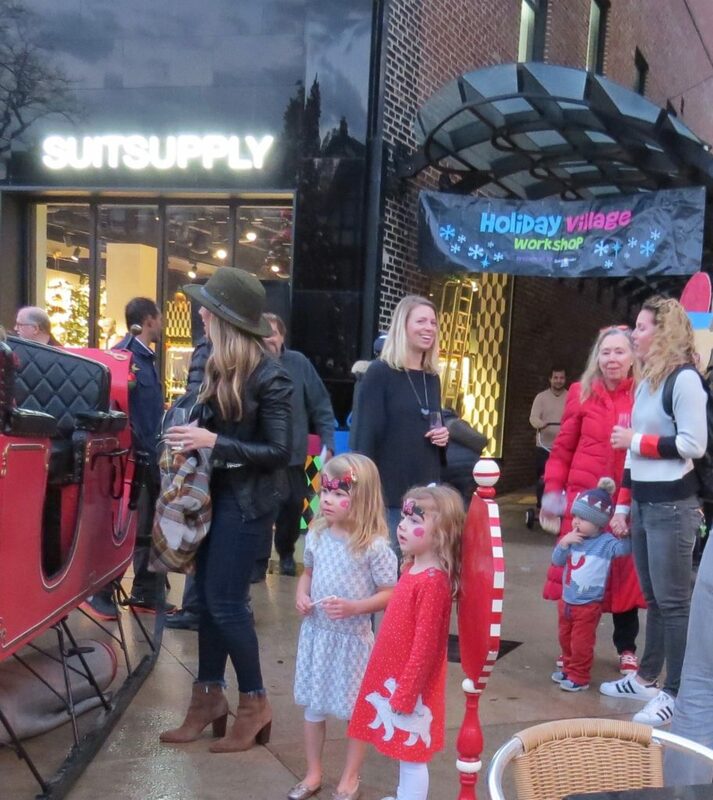 Though there were copious clouds and even a brief shower last Saturday afternoon, the 60 degree weather contributed to jam-packed sidewalks filled with young families out to participate in the annual Holiday on the Plaza and CWE Window Walk events. 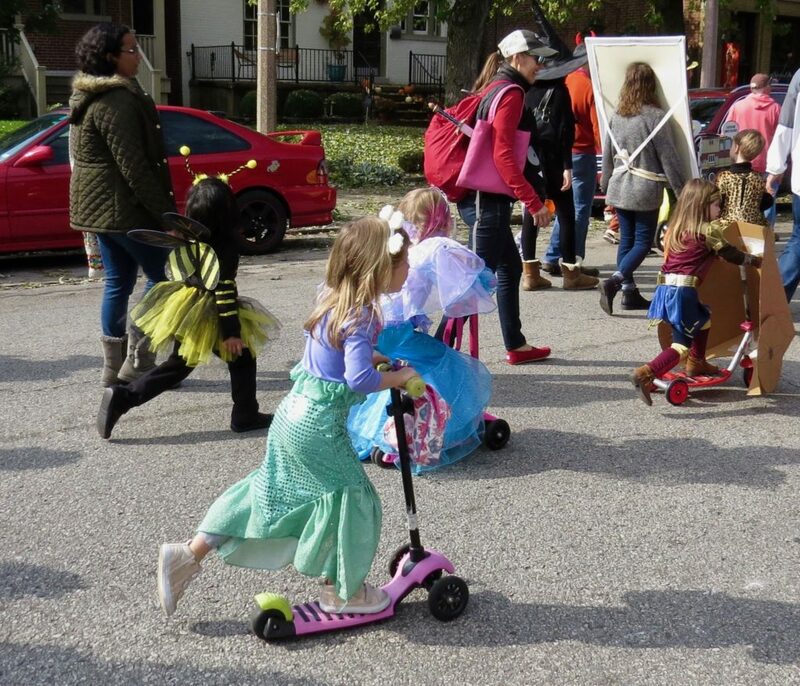 Thanks to months of planning by Maryland Plaza’s Frances Thompson and the CWE North Community Improvement District’s Kate Haher and Erica Lembo there were activities galore for all to enjoy. 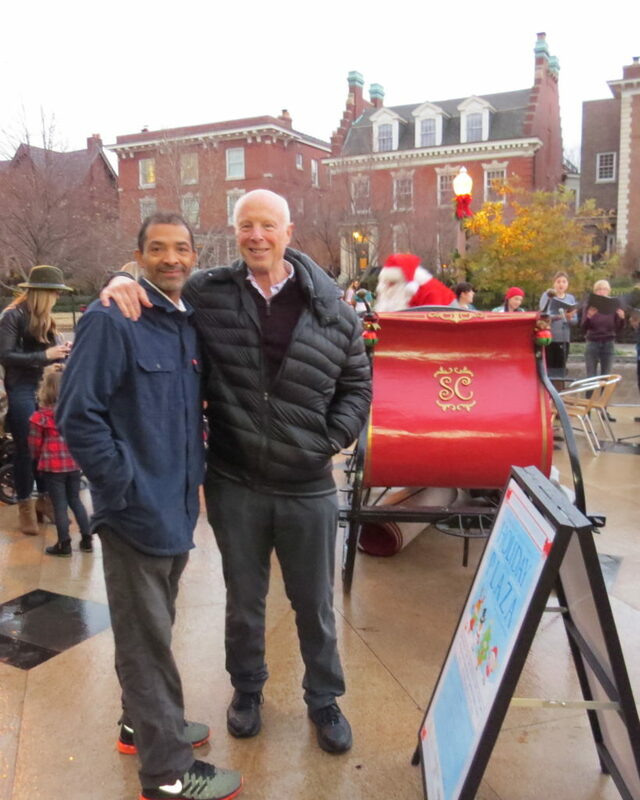 Maryland Plaza’s Nathan Ambus, who’s very much behind-the-scenes and knows how to work all the bells and whistles (and turn on the Xmas tree lights on cue), with Ted Koplar, the third-generation patriarch of the family that has made Maryland Plaza such a huge success. 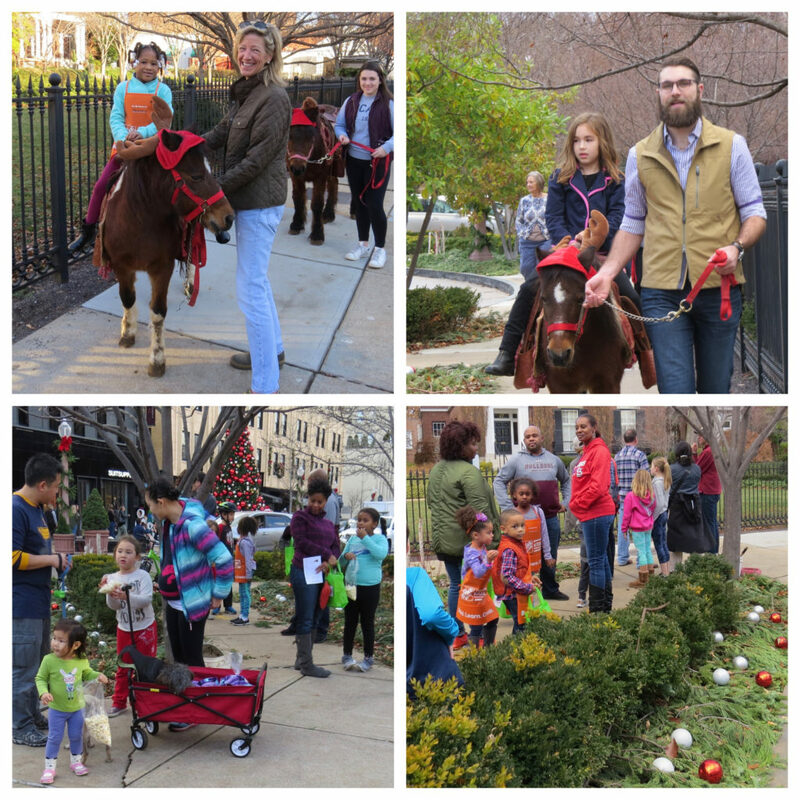 Top photo left: Kate Walter, president of the Central West End Association, and top right, ‘Scape’s David McDermott volunteered to slow walk the ponies as young riders took a spin on Maryland Plaza. 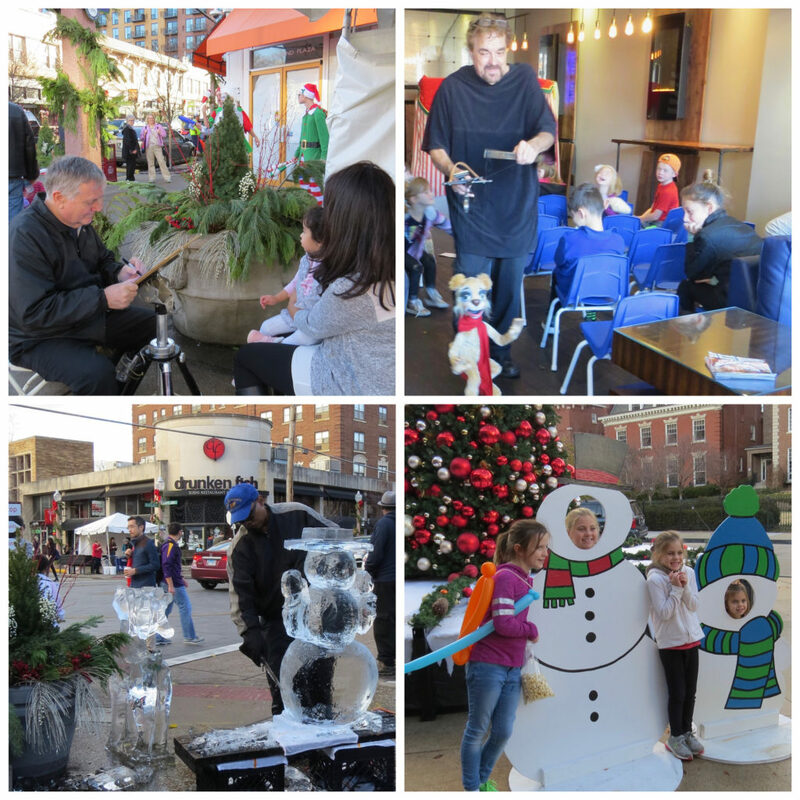 Above left, there was a caricature artist at the corner of Euclid and Maryland, a performance by the CWE’s Bob Kramer’s Marionnettes at Bissinger’s, ice carving demonstrations and family photo ops on Maryland Plaza. 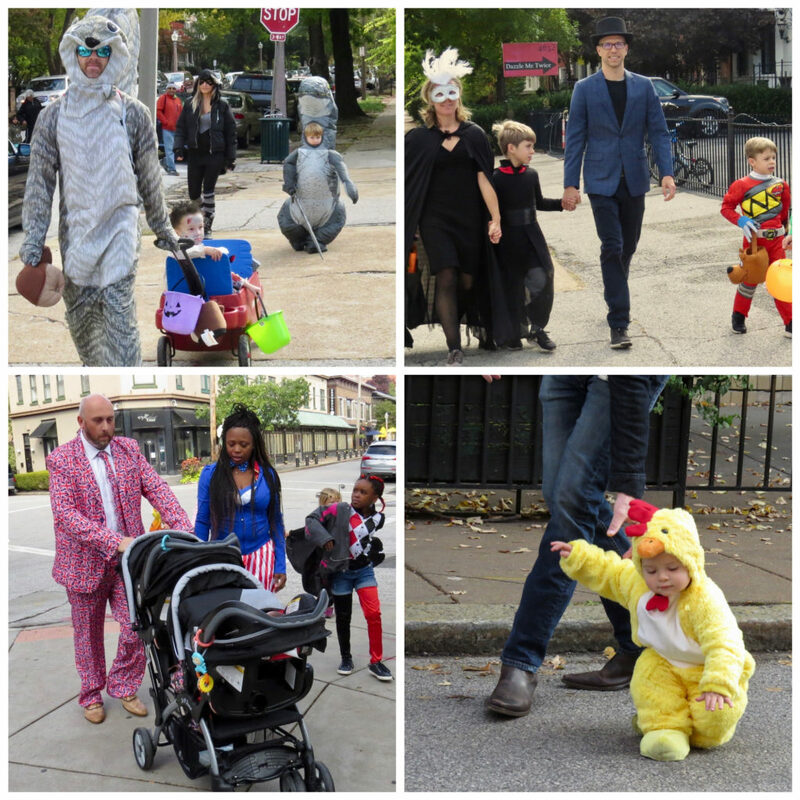 Activities included horse and buggy rides along Euclid, a trio of strolling carolers and a lively performance by Saint Boogie Brass Band. 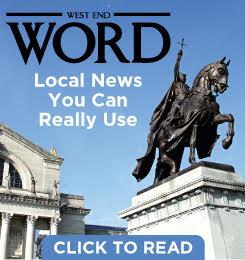 Circus Kaput jugglers entertained at the corner of Euclid & Maryland. 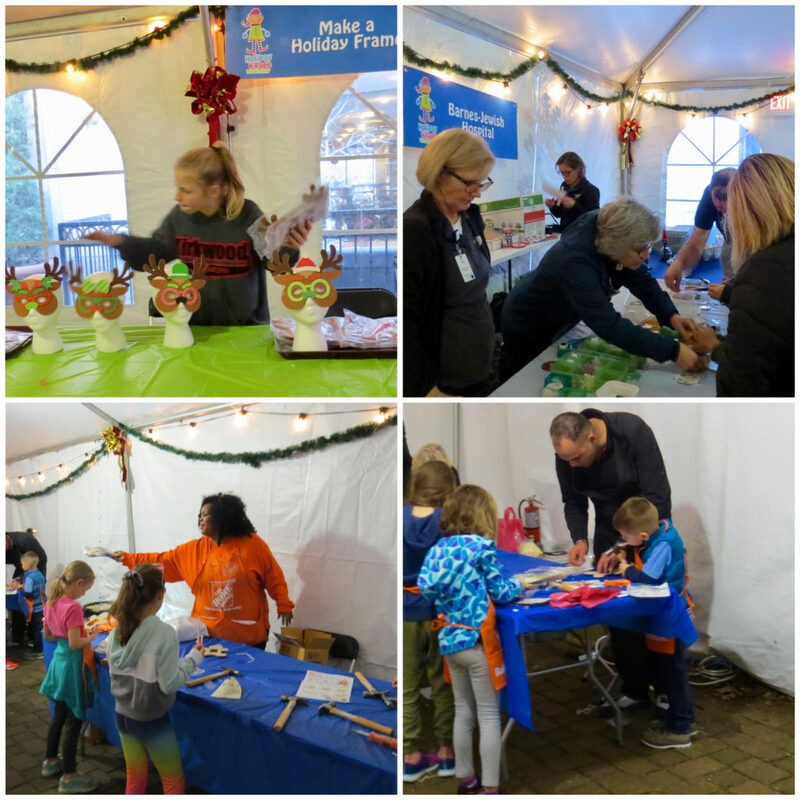 Inside the Holiday Village Workshop kids could participate in a variety of craft activities led by the Magic House, Home Depot, Barnes Jewish Hospital, and The Cup. 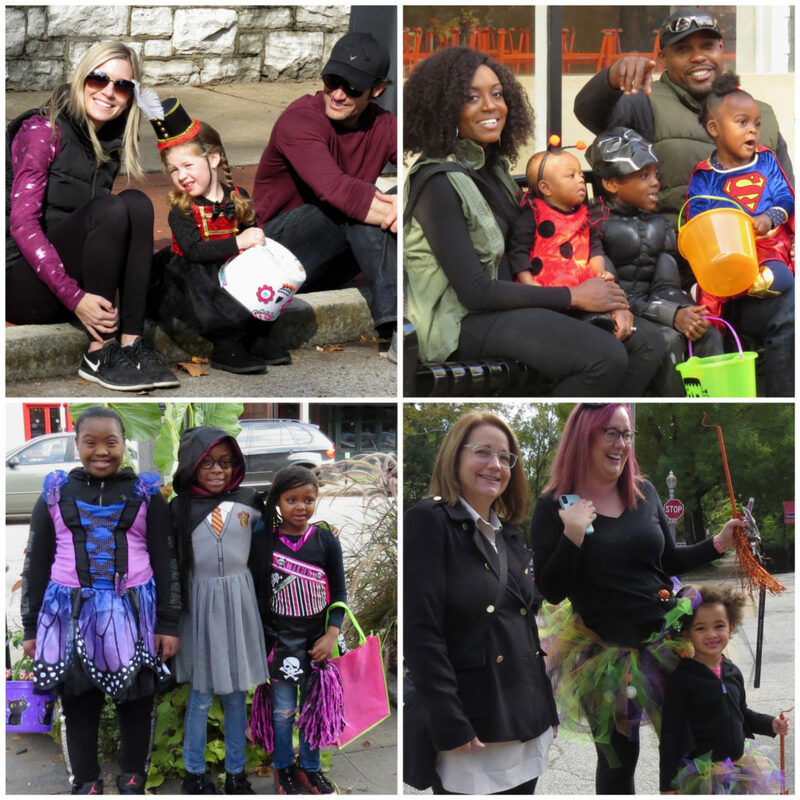 Students from Paul Mitchell the School were offering holiday hair styles, and for the adults, much appreciated chair massages from Massage Luxe. 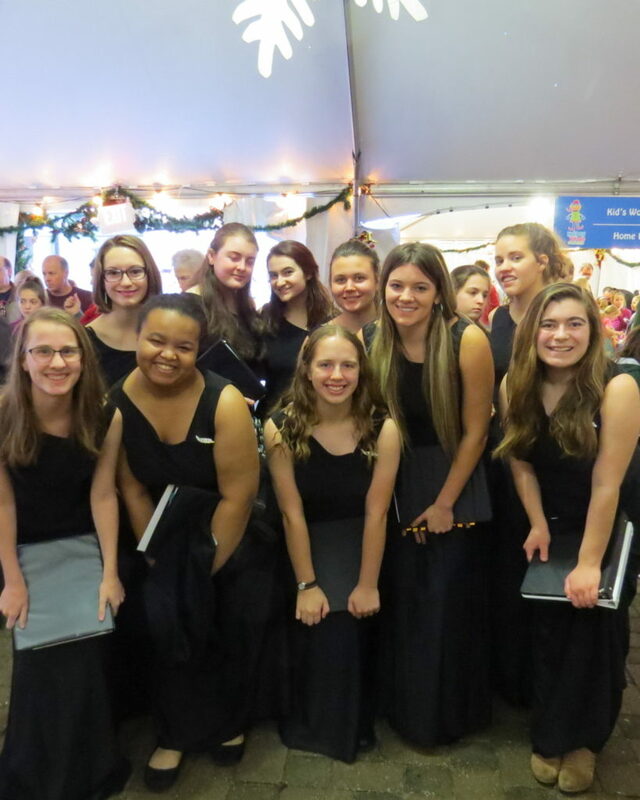 Rosati Kain High School’s “R-K Voices” posed for a photo before their performance last Saturday. 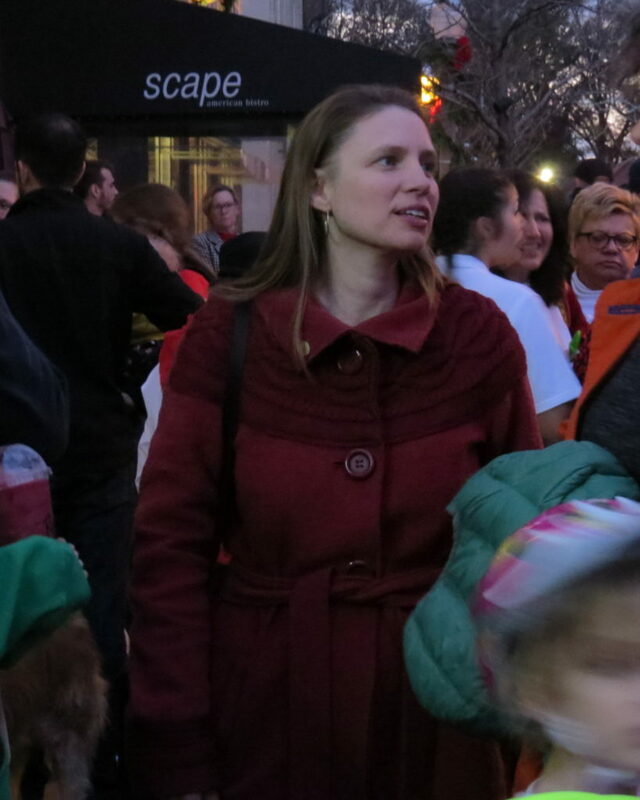 28th Ward Alderwoman Heather Navarro welcomed the crowd before the tree lighting ceremony. 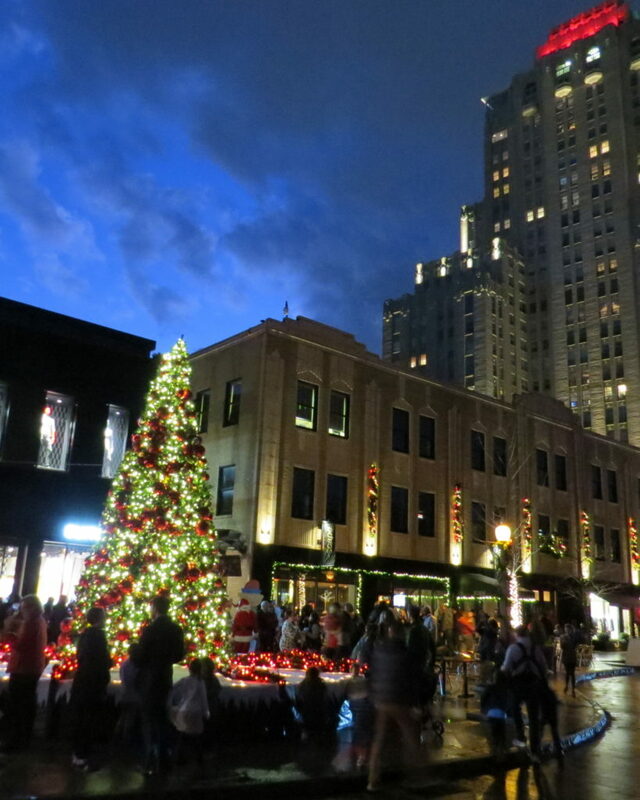 Thanks to 10-year-old Khelby Calmese, a sickle cell disease patient at Children’s Hospital for flipping the switch that magically lit the beautiful Christmas tree. 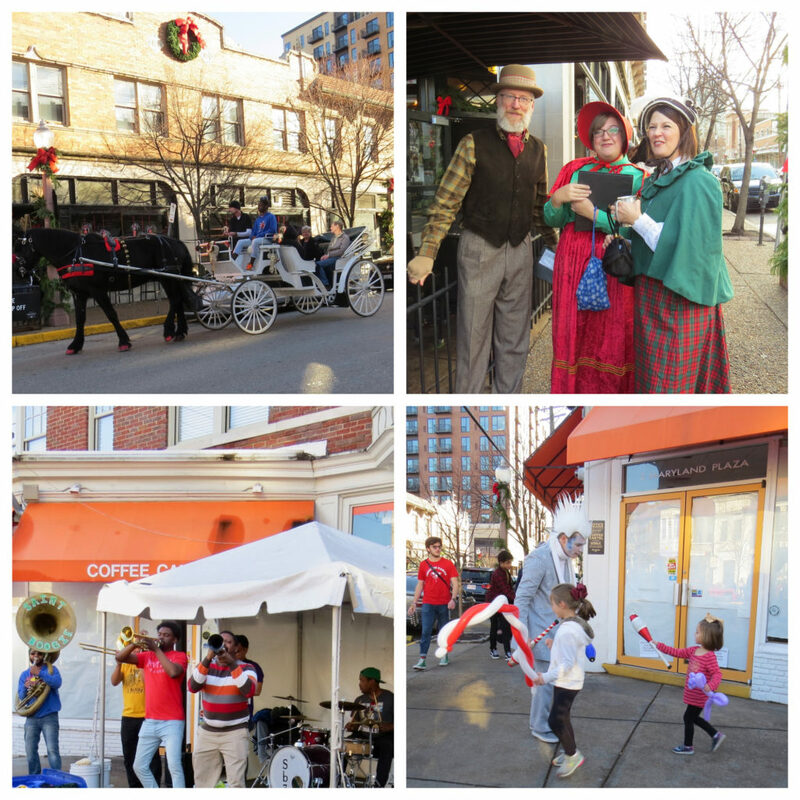 The Holiday Window Walk continues today December 8 with carolers, free gift wrapping, and a Holiday Market in the heated tent behind ‘Scape. 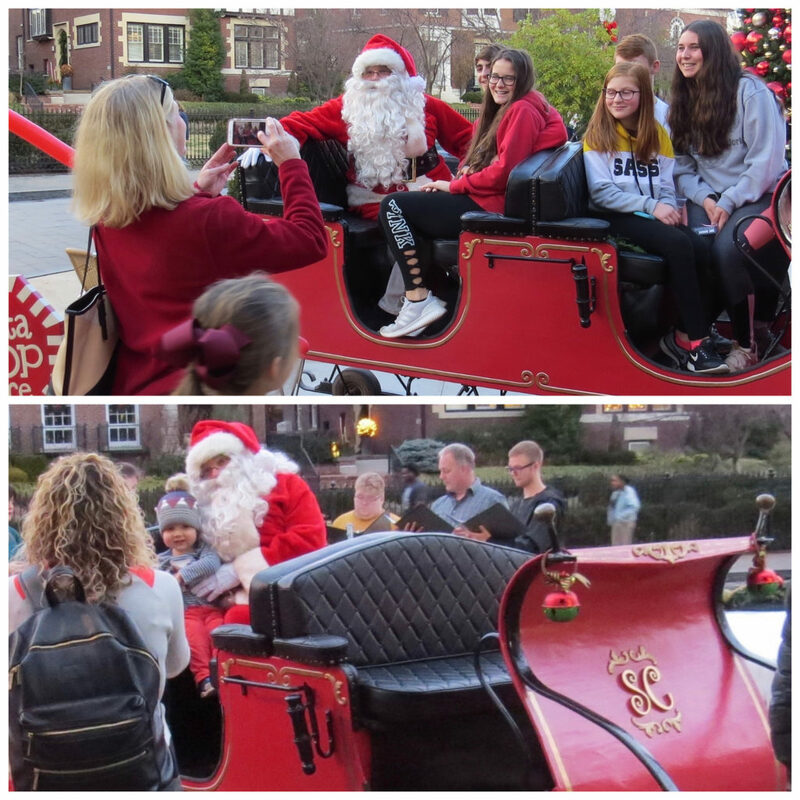 There’s still time to get your list to Santa, as he is on Maryland Plaza again today and will be there Saturday December 15 and 22. 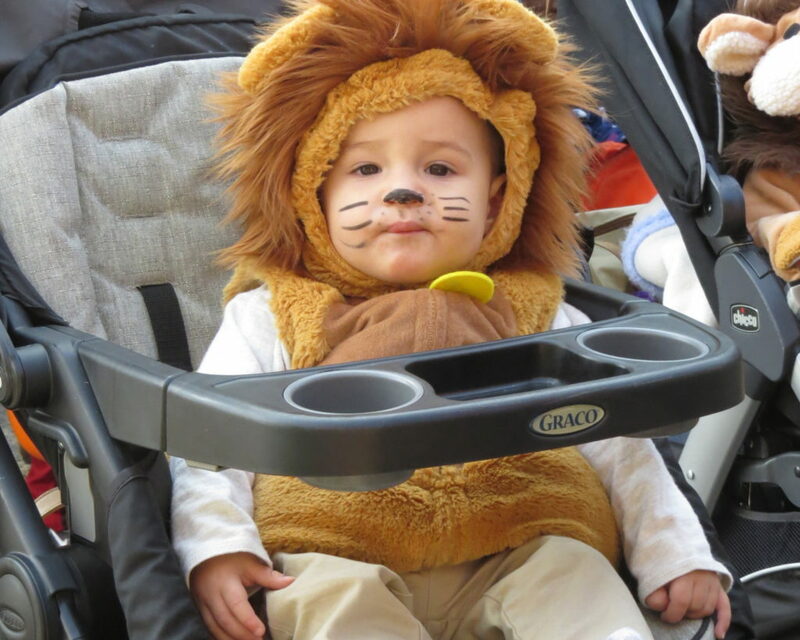 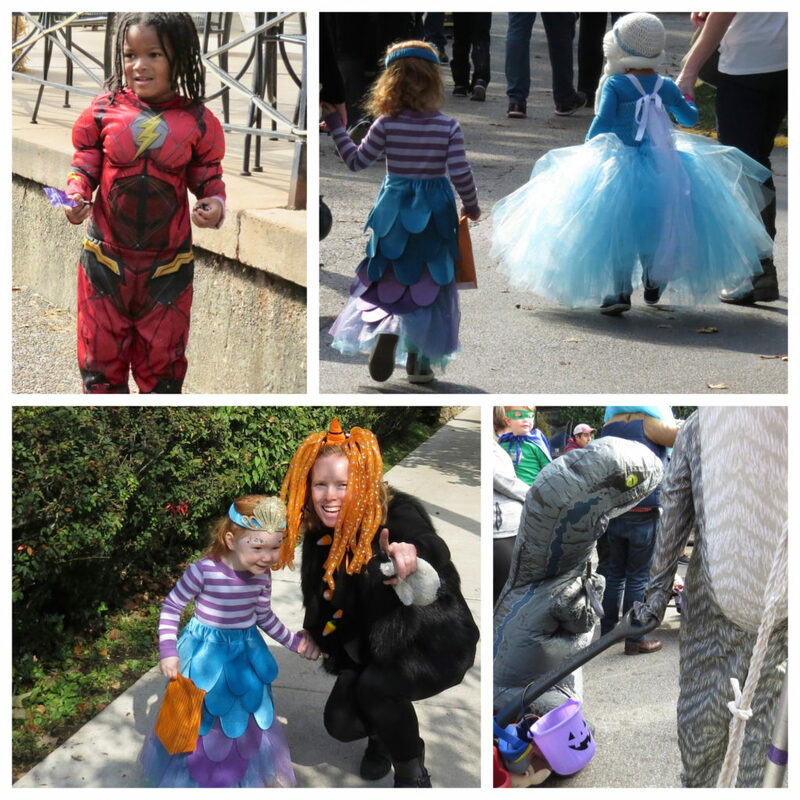 The weather couldn’t have been prettier Saturday morning when neighborhood families and visitors from all over the St. Louis area gathered at The McPherson’s parking lot for the annual CWE Halloween parade. 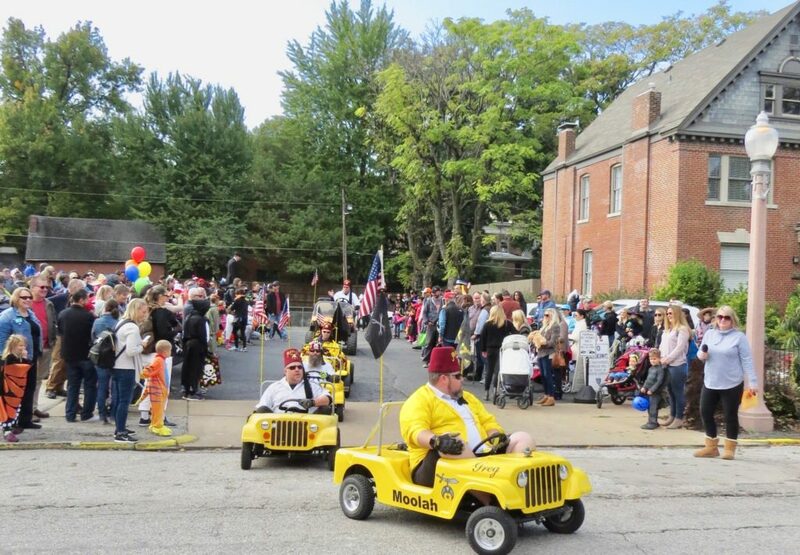 Led by Shriners’ parade cars and Cinderella in a horse-drawn carriage, they paraded down Euclid to the Main Stage at Maryland Plaza where they participated in some dance moves, and then dispersed to trick or treat at neighborhood shops. 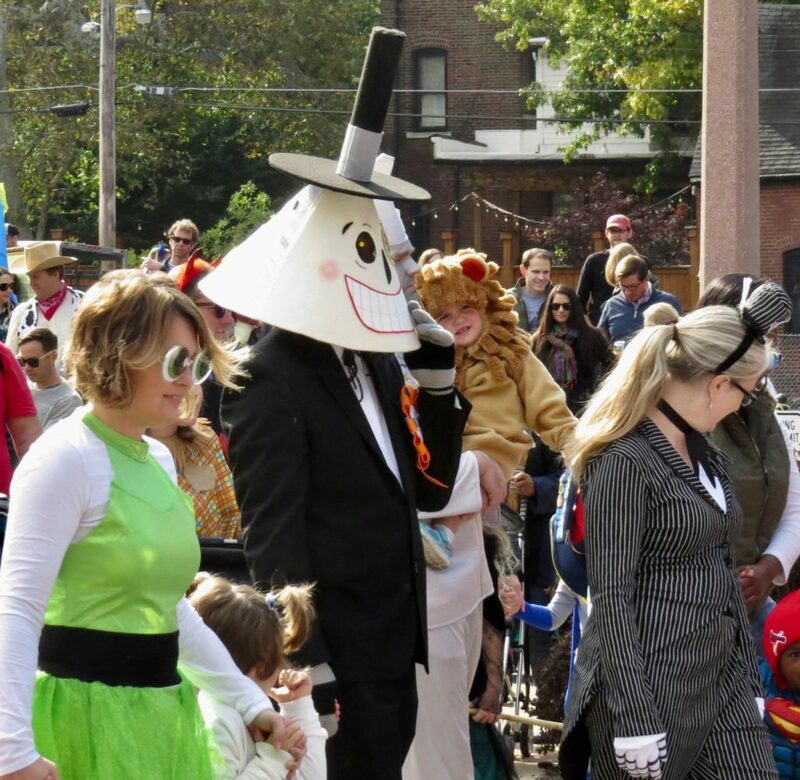 Hats off to all of you who support businesses in the Central West End North Community Improvement District. 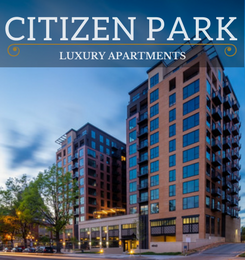 That includes shops, restaurants, Straub’s, The Chase Hotel—all the businesses north of Lindell from Kingshighway east to Euclid along Maryland Plaza and McPherson, and north to Washington. 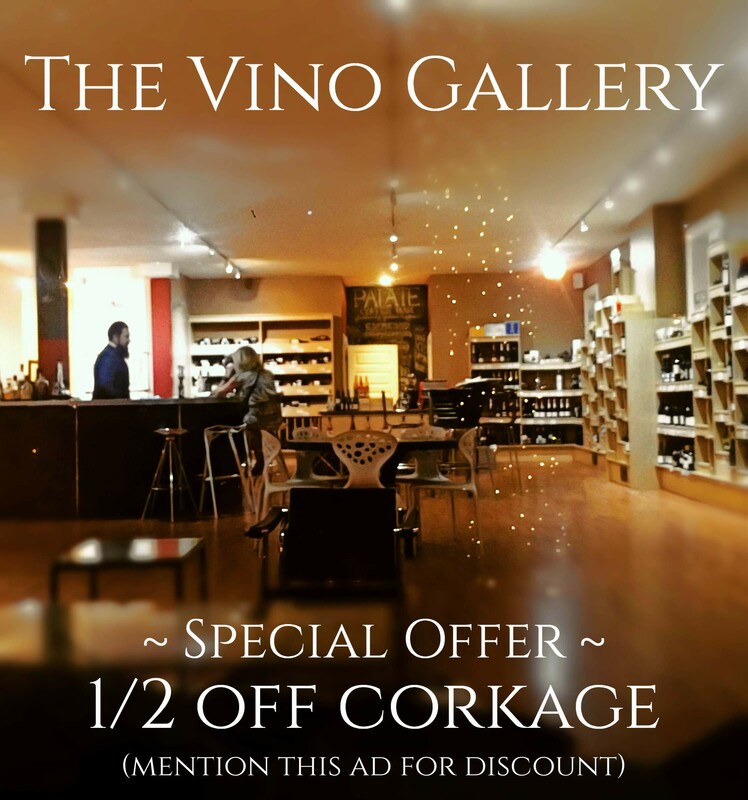 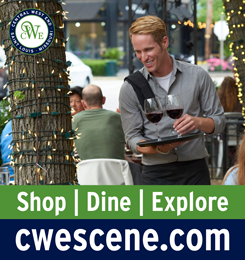 The extra 1% sales tax you pay on purchases in this area, whether it’s a coffee, card, candle, book, or meal, is reinvested in the community via the CWE North Community Improvement District. 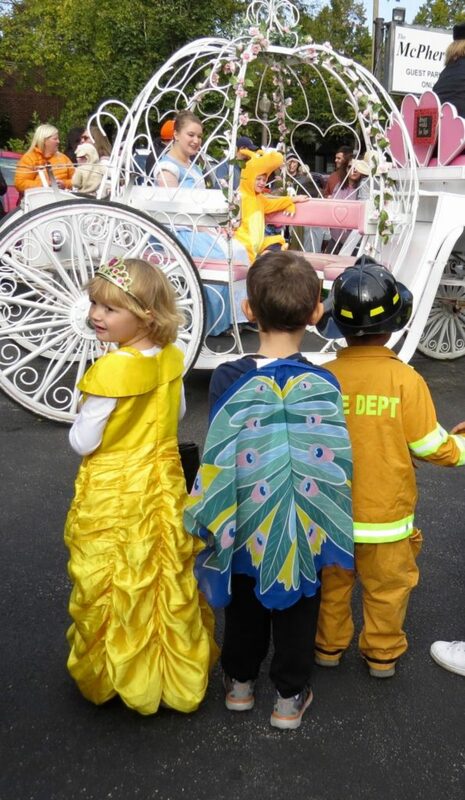 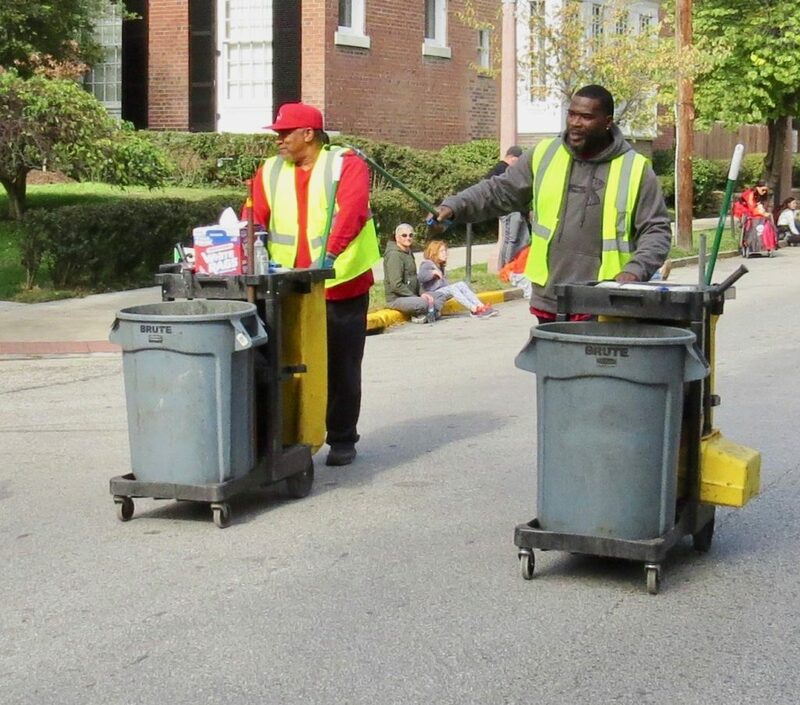 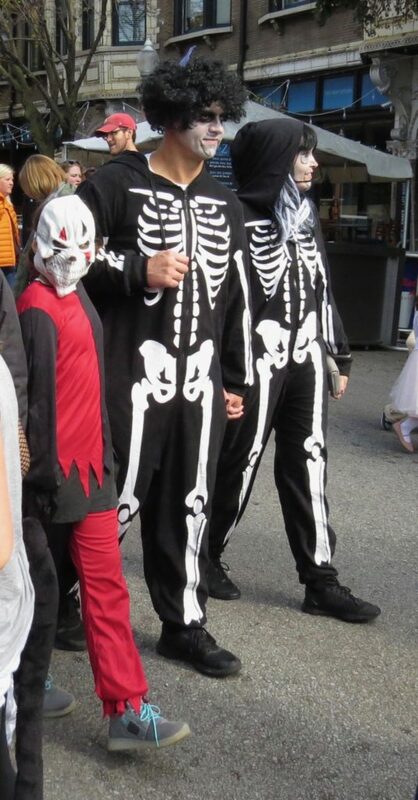 The funds are used for beautification, street cleaning, security patrols, and numerous events throughout the year, such as Saturday’s Halloween celebration. 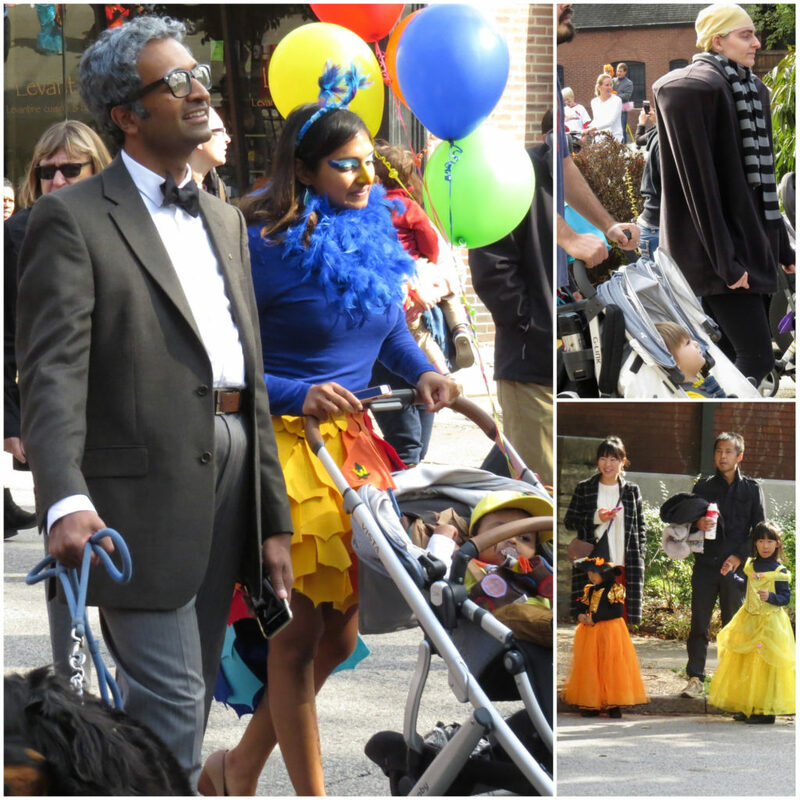 As I observed the many families, pet owners, and the hundreds of people who joined the festivities at Saturday night’s adult costume contest, I felt so proud to be part of a neighborhood that is able to open its arms and share its good fortune with anyone who wants to participate. 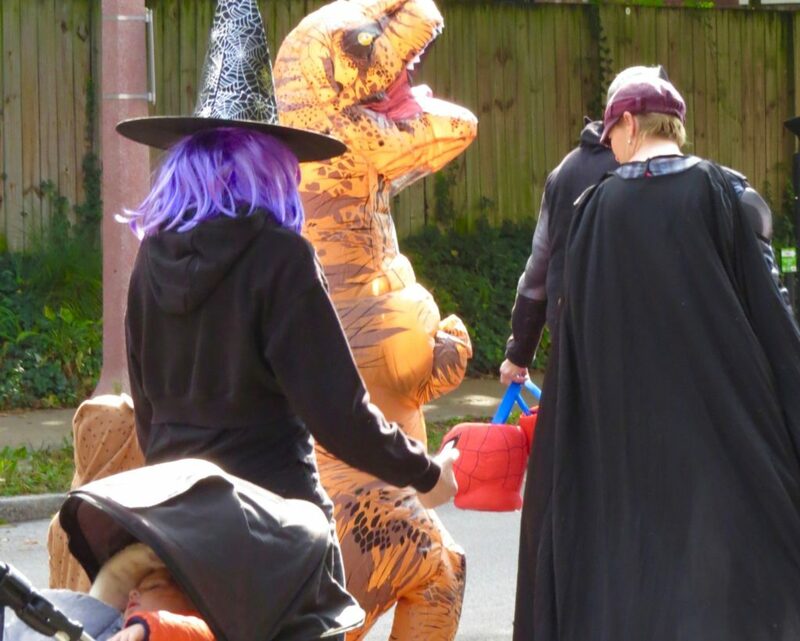 I don’t think I am alone when I acknowledge that a day spent talking to each other about extremely clever costumes, adorable kids, dolled-up pets, and watching strangers dancing together in the streets, restored my faith in the commonalities among us. 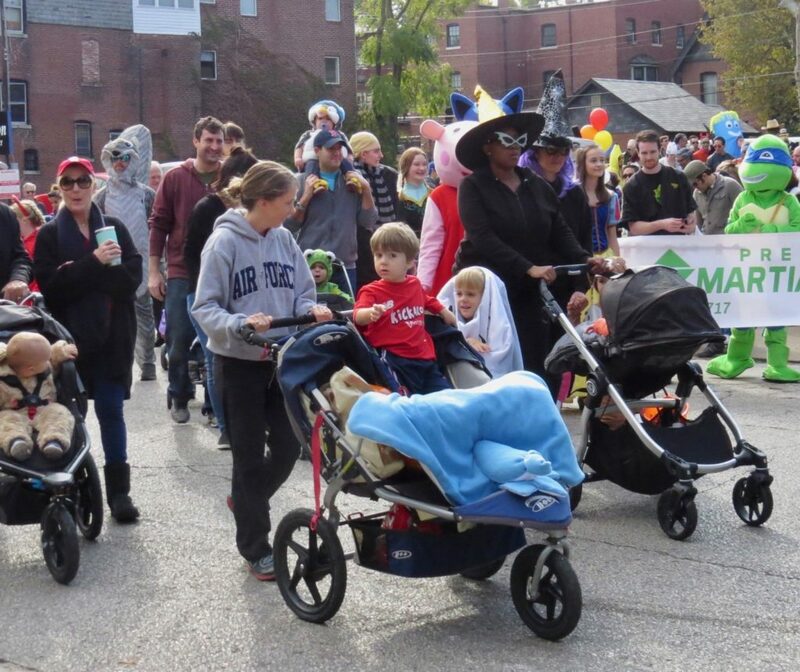 Additional thanks to those who organized the events including Kate Haher, Erica Lembo, Frances Thompson, Dennis Gorg, and many more.